This page documents data for H.B. Baker (1922), such as genera and species attributed to that publication (including known misspellings, misidentifications, and other unavailable names) as well as taxonomic opinions, if available. Taxonomic opinions refer to uses of genera and species as valid and invalid in that work. Baker, H.B. 1922. 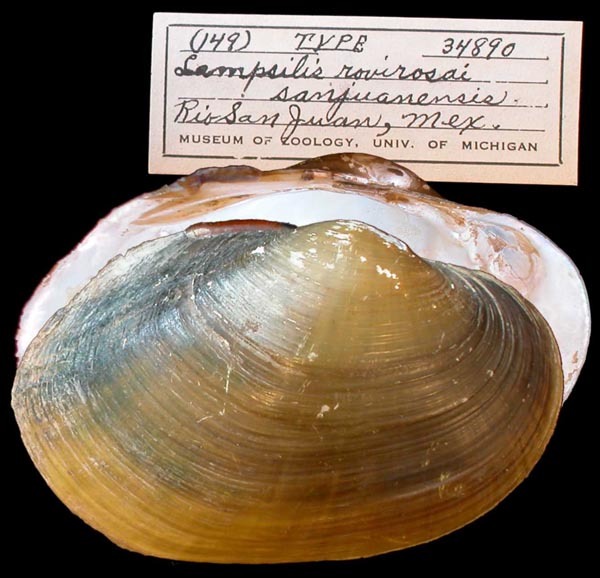 The Mollusca collected by the University of Michigan-Walker Expedition in Southern Vera Cruz, Mexico. I. 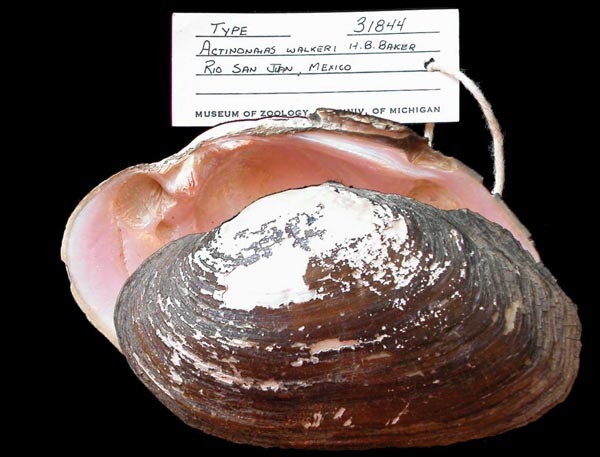 Occasional Papers of the Museum of Zoology, University of Michigan (106). 95 pp. Simpson, 1914, Descr. Cat. Naiades: 311. H.B. Baker, 1922, Occ. Pap. Mus. Zool. Univ. Mich. (106): ??. H.B. Baker, 1922, Occ. Pap. Mus. Zool. Univ. Mich. (106): 29, pl. 11, fig. 53; pl. 12, fig. 53; pl. 13, figs. 51-54. Type(s): HOLOTYPE UMMZ_34891, Rio San Juan, Mexico. H.B. Baker, 1922, Occ. Pap. Mus. Zool. Univ. Mich. (106): 13, pl. 1, figs. 6-7; pl. 3, fig. 22; pl. 4, figs. 20-25. 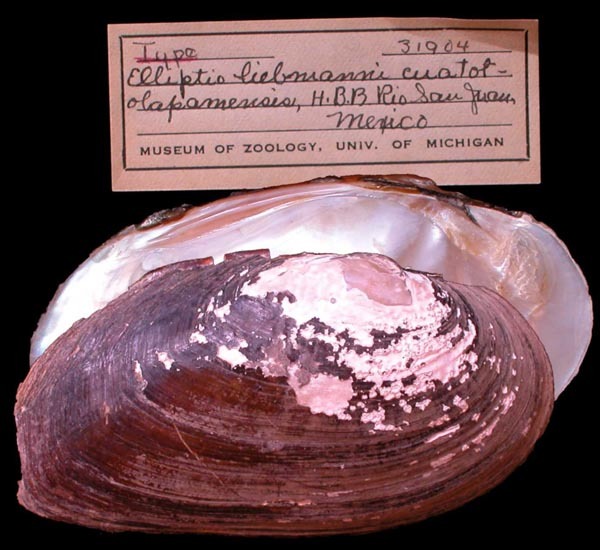 Type(s): HOLOTYPE UMMZ_31904, Rio San Juan, Mexico. H.B. Baker, 1922, Occ. Pap. Mus. Zool. Univ. Mich. (106): 27, pl. 8, fig. 39-42. H.B. Baker, 1922, Occ. Pap. Mus. Zool. Univ. Mich. (106): 20, pl. 1, fig.s 1-2; pl. 9, fig. 49; pl. 10, figs. 48-50; pl. 11, figs. 48-49. 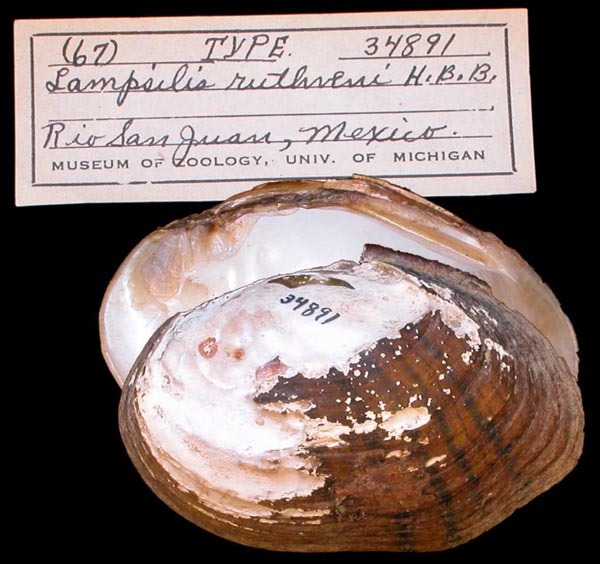 Type(s): HOLOTYPE UMMZ_31844, Rio San Juan, Mexico.